A new fishing season requires a new license. Taupo licenses must be bought on line with the exception of the 34 hour license. Instructions from DOC to order your license are on the Home Page of our website. I have copied it here as well. Those wanting to get their license early have had to wait until the 2014/15 season closes before the issue of 2015/16 season begins. We need to bear in mind how small the fishery staff is and how time consuming it is to refund money paid in error for 14/15 when you thought you were ordering for the 15/16 season. Another issue confronting DOC is the demand for a 12 month license (as is the case for a Taupo Boat launching permit) from the date of purchase rather than the 12 month period commencing 1 July. The reason given for the fixed year is greater financial stability. In this technological age, it is valid to keep a photograph of your license on your cell phone as proof that you have a legal license. a Lowrance Elite-5x Colour Fish Finder. There are plenty of fish in the river though not every one is finding them. As always the Bridge Pool remains the most popular pool on the river. One angler boasted to a friend that he had landed 28 trout in one day over the weekend. 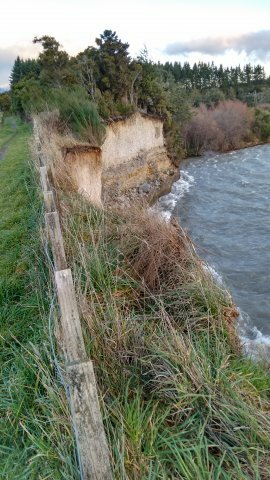 The Pumice cliff face at the Cicada Pool (between the Stag and Admiral’s Pool) eroded back endangering access along the Tongariro River Trail. A considerable quantity of fine materials found their way into the river from this slip and will take a while to move down stream. 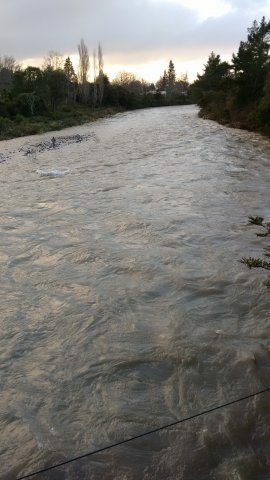 This is a pity as the lower river (below State Highway 1) was clearing itself of much of the debris from clearing work done as flood control. My favourite pools, The Reed and the Jones have been clearing nicely though there was a sediment build up I attribute to the erosion at the Cicada Pool. The Jones Pool has a fast flow and should clear quickly. 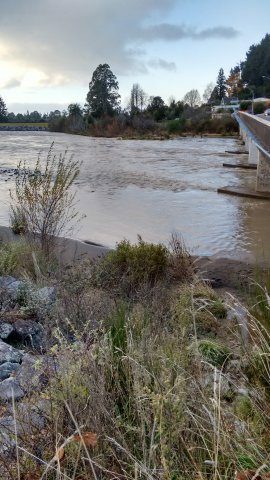 A deep Pool in recent years it is now much shallower but is fast flowing a sign that the flood control effort is working. The Flood of 19-22nd June 2015 was the largest flood for a few years and the Genesis graph showed a maximum level of 745.6 cu mecs which is slightly above the level of a 1 in 5 year flood. It was half the level of the 2004 flood which peaked just under 1500 cumecs. We need constant reminder that the normal flow of the river is 21/22 cumecs. In Germany it is illegal to return a trout of any size to the water once landed. Agreement In Principle (AIP) between Ngati Tuwharetoa and the Crown. Copy into the url of your browser to open. 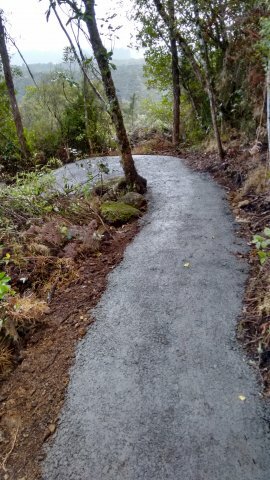 I was pleased to see that DOC have added gravel to the uphill section of the TRT between the Hydro Pool and the road to the Stag Pool. There is one very tight corner and cyclists need to take great care. There are still a couple of very small sections unworked. The start of the new section from the road to the Stag Pool is currently very muddy where trucks brought in metal but this will be corrected in a short period of time. 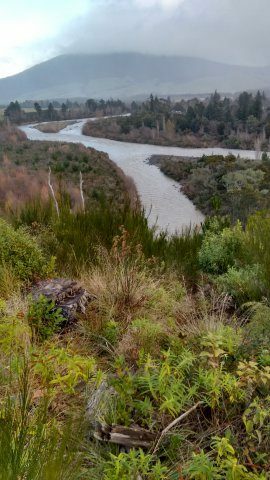 The Kohineheke Reserve was formerly the Crescent Reserve from the road off Rangitautahanga Road within the town. The universal signs are the important information in what you can and can’t do.